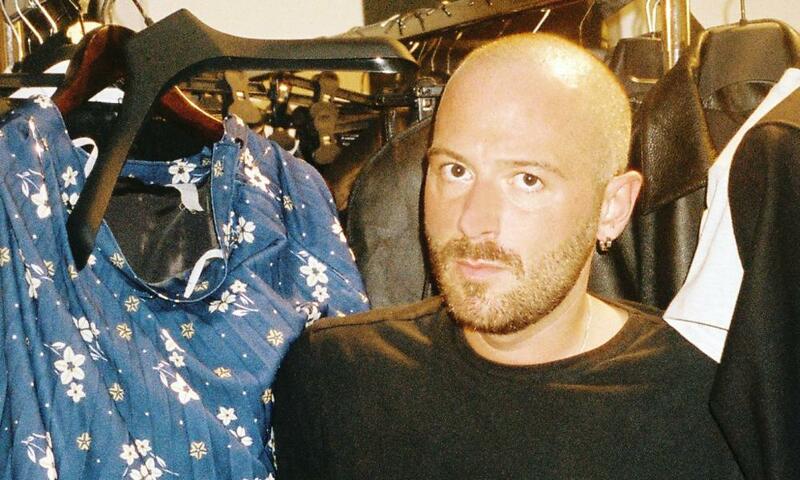 Demna Gvasalia of Vetements and Balenciaga. Given that a T-shirt printed with the DHL logo was the item that originally brought Gvasalia and his design collective, Vetements, to the world’s attention, this proclamation will pique the fashion industry’s interest. Two years ago, when he started at Balenciaga, Gvasalia’s ironic, street-smart aesthetic seemed an odd fit for a house best known for its association with Audrey Hepburn. But his impressive hits – the oversized anoraks copied on every high street; the sell-out “ugly chic” Triple S trainers – have proved the pairing’s wisdom. 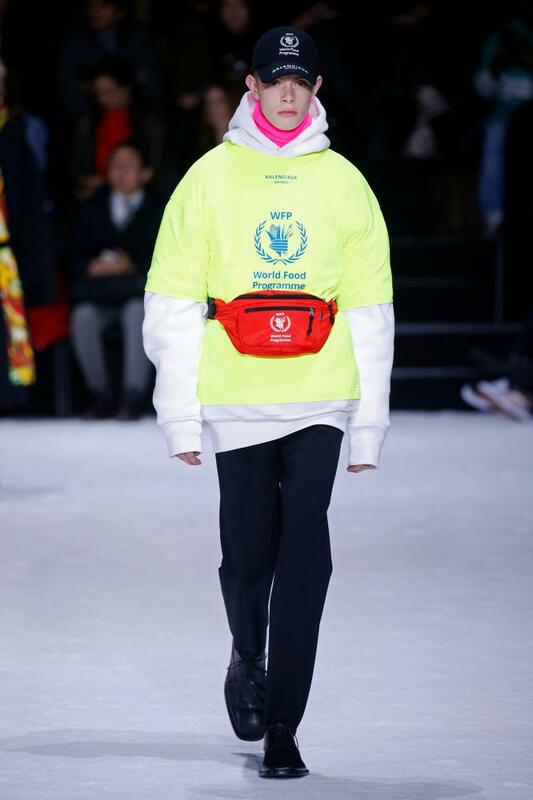 This season’s big idea had a serious message: Balenciaga collaborated with the World Food Programme on a series of logo baseball caps, bumbags and T-shirts, using the same “free corporate awayday merch” aesthetic that has become a house signature. The other graphics in the show were about “using fashion as a tool of communication” too, albeit in weirder ways. Some shirts were printed with the phone number of a newly set up “Balenciaga hotline”, on which a recorded voice asks callers banal questions such as their favourite city and their shoe size. “It’s a never-ending hotline, for people who have a lot of time,” said Gvasalia, gnomically. 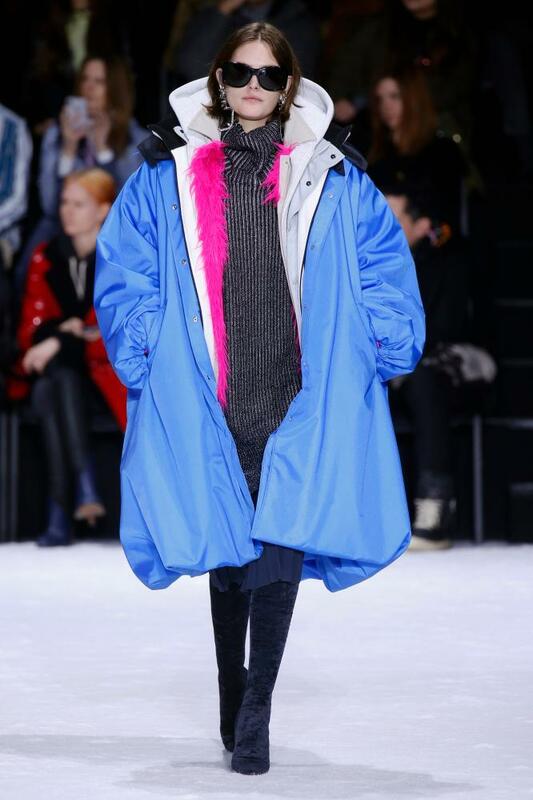 With a snowy mountain set, and a neon-infused colour palette inspired by snowboarders in the 90s, the final theme was extreme weather, explored through silhouette. Also on Sunday, British designer Clare Waight Keller presented her sophomore collection for Givenchy. Waight Keller replaced Riccardo Tisci, who was recently named creative director of Burberry. Her debut, in September, was met with a mixed critical reaction, but this follow-up was stronger. Building on the nighttime feel of an assured couture collection, shown in January, she took 80s Berlin as her theme, and showed a series of lush fake-fur coats, shimmering sequinned midi dresses with tough pointy boots and appealing monochrome tailoring. Waight Keller described the collection as gritty and said it had brought her a step closer to expressing her vision for Givenchy.